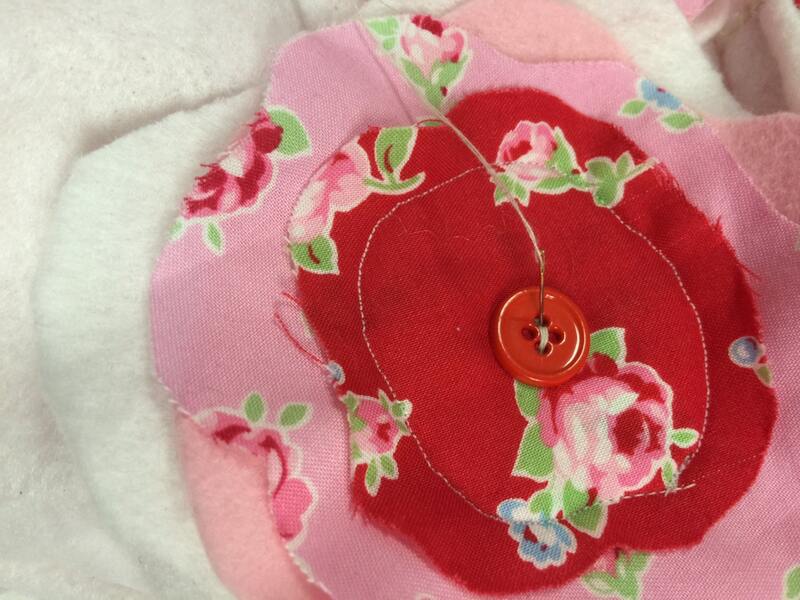 When making a pattern I always think easy + pretty fabric = a wonderful finished item. 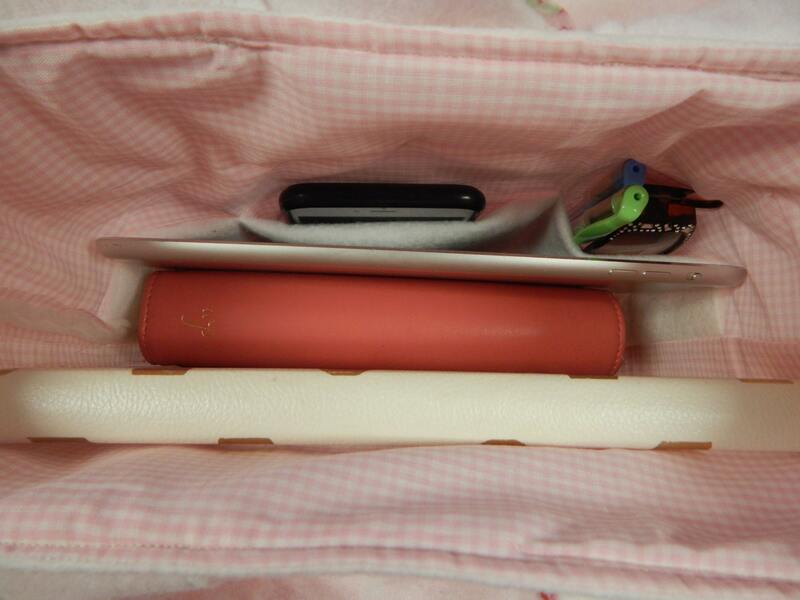 When making this little tote bag, I wanted it wide enough to carry my iPad, plug ins, pink planner (Websters Pages) and a notebook. I am always sketching and designing things, and doing business where ever I go. 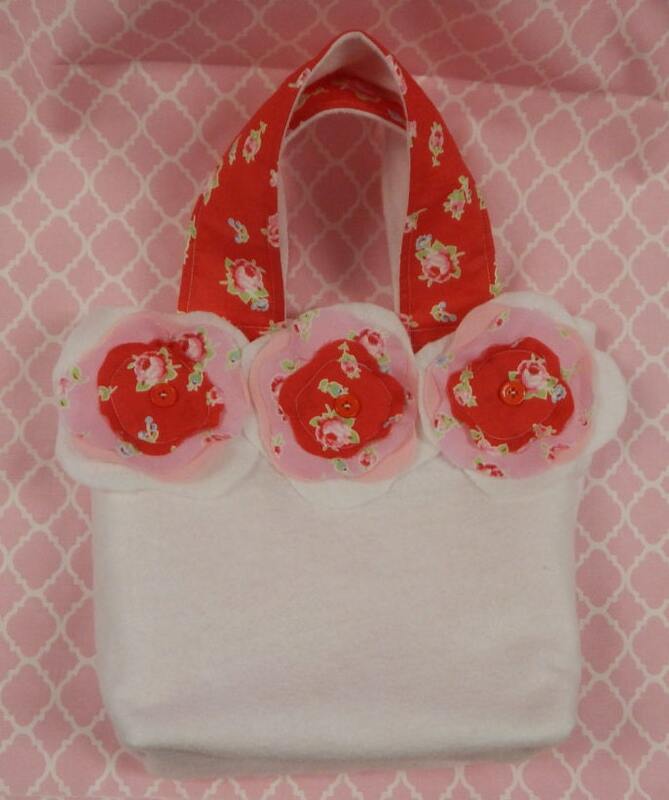 So I wanted to make a simple tote, that looked cute with my favorite layered flower embellishments, had pockets for my phone, glasses, pens and pencils, and room for a snack too! So with my measurements in hand I began sketching, cutting fabric out and putting together this lined tote, with inner pockets, outer floral decorations (which are optional) and made a simple tote. Pictures and photos guide you in making this tote bag. 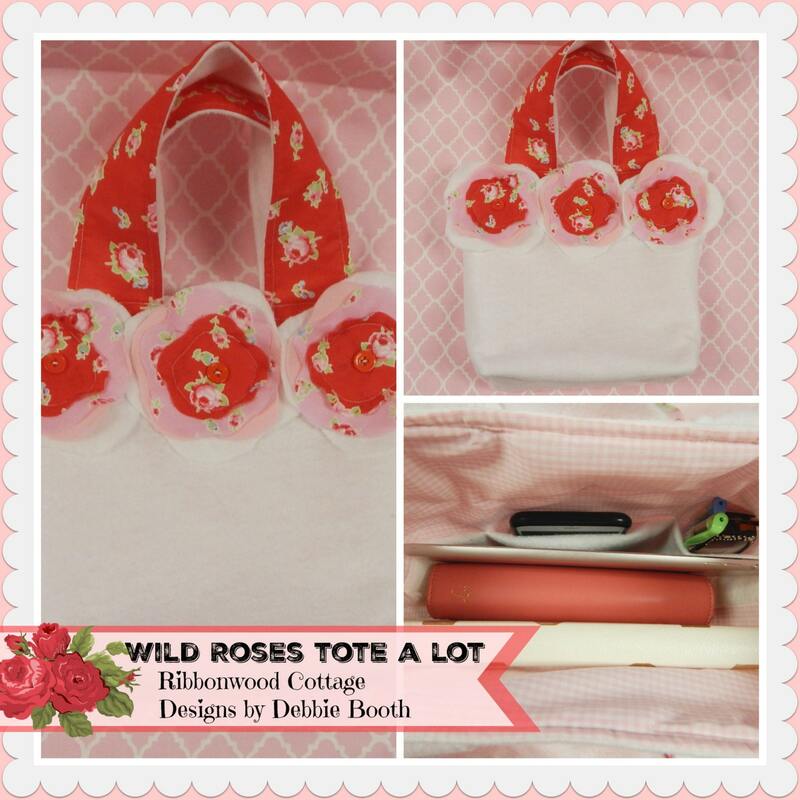 It is made with wool felt on the outside, gives it a sturdy feel and doesn't need stiff interfacing, and then pretty cotton fabric of choice for the inner lining, strap handles and flowers. Any color scheme can be used, or even make it seasonal too with seasonal colors. All my patterns are made to be simple and easy to understand. 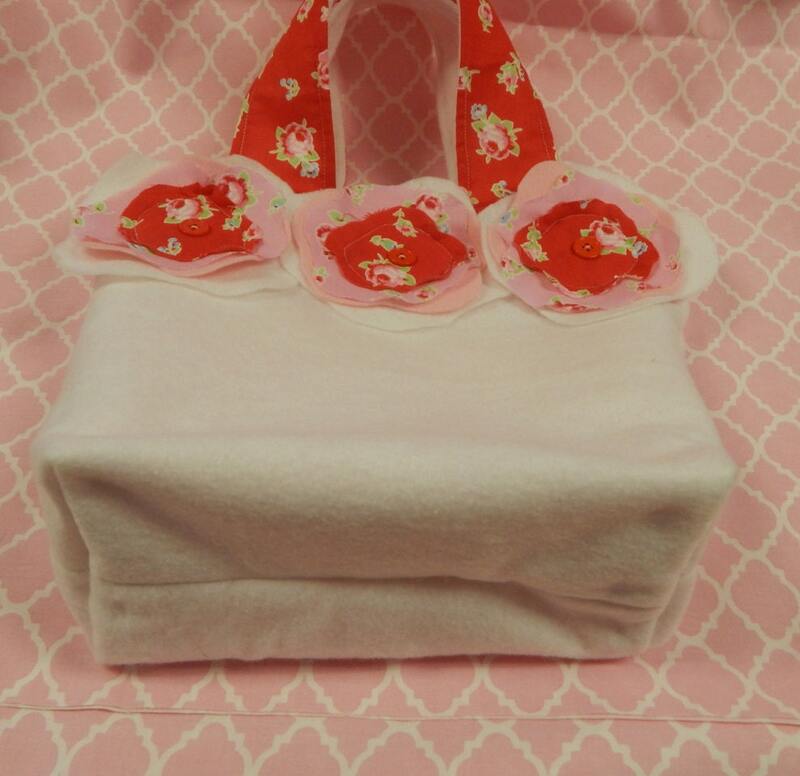 Use really cute fabric, and make several of these items quickly, and give them as gifts! Ribbonwood Cottage Designs 2015 Copyright. This is an instant download pattern. You will not receive any patterns or purses in the mail. You must be familiar and have a working knowledge of opening up an email to get the pattern, receiving and opening a file on your phone, IPad and or computer. Please do not buy if you do not understand this! Or ask someone to help you-it is an adorable pattern! Once purchased there is no refund since this is a DIGITAL FILE.